Blank walls, new name tags, fresh faces and big hugs. For me, nothing beats the excitement of the first weeks of school in kindergarten. Our five-year-olds return and help me welcome our new four-year-olds and within minutes, we are building our new class community. 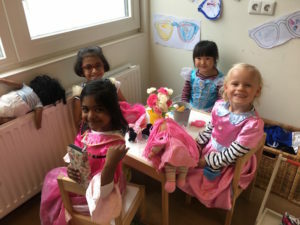 The first two weeks in our Kg classrooms are vital to the rest of the year and are just loads of fun. 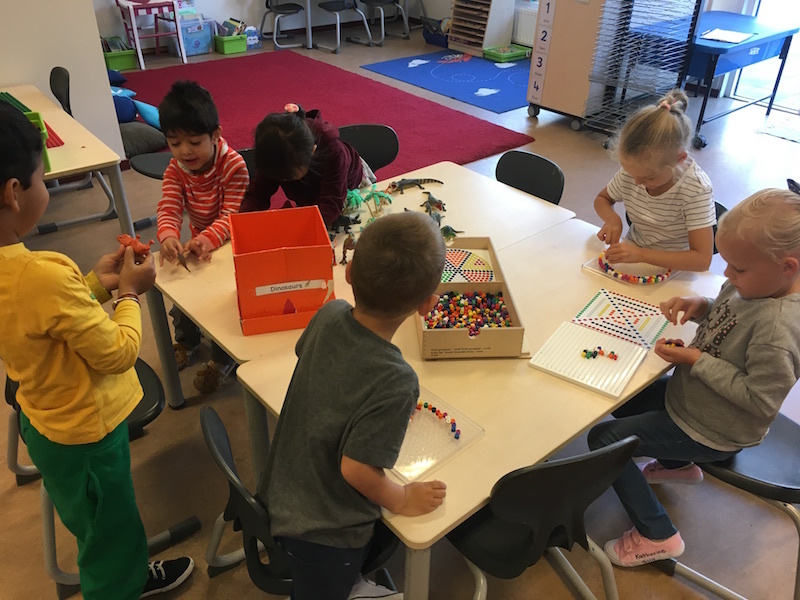 Our primary focus in these weeks is to acclimate the students to their new lives as kindergarteners by playing and learning our classroom routines. Routines are a very important part of our classrooms. It is said that for an adult it takes 21 days to form a habit, well for the little ones it is a bit more. If we are practising a daily routine, it can take up to a month to learn, if it’s a weekly routine up to three months and if it’s a monthly one up to a year. Not only do they give the children structure, having routines, such as how we transition to outside play, helps foster independence within the students. In mixed aged level classes like ours, our routines provide a leadership role for the older students who learned many of them last year. They are able to model the routines and help support the learning of the new little ones. This year I have already seen five-year-olds taking the four-year-olds under their wing and showing them how to put on their shoes or where to tidy their toys. In the coming weeks, we have so much planned in Kindergarten. We will begin our first unit that will be an inquiry into who we are in relation to our friends and family. We will also start our language and math units that will run alongside our unit of inquiry where we will explore becoming readers and writers as well as numbers and shapes. The prospect of the new year ahead is so exciting and I know it is going to be a great one!